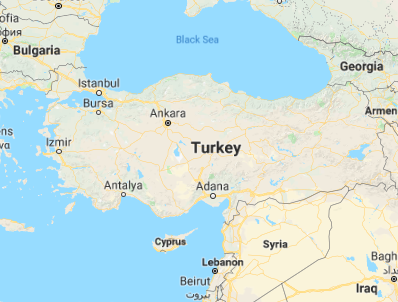 “Turkey.” Map. Google Maps. Google, 31 Oct. 2018. Web. 31 Oct. 2018.
lwaukee and she emphasizes that her culture and religion are very important to her. While growing up, Elif was more involved with the Muslim community so she identifies herself as Muslim first. As she got older, Elif began to realize the value of one’s tradition and culture. As opportunities arose, Elif began to become more involved with the Turkish community. On the weekends she would volunteer at a Sunday school as a teacher, which would focus on teaching the students about religion, culture, and the Turkish language. Elif also participated in Turkish folklore dancing, and although she no longer owns any of the pieces; Elif shared pictures of some of the Turkish cultural clothing she wor e in certain dances and explained what some of the pieces were worn for. One example she spoke about was a garment from the Black Sea region. The ensemble included a “shalvar” which is a pair of loose pants worn under a longer knee length dress, completed with a gold embroidered vest, belt and headdress. Elif explains that the names and styles change depending on which region a person is from. Another piece of cultural clothing Elif shared is called a “bindalli”, which when translated literally means “a thousand branches.” A Turkish bride wears this piece of clothing on her henna night. It is traditionally of a beautiful dark red or purple velvet material and has gold embroidery that encompasses almost every inch of it. Elif explains that the “thousand branches” is symbolized by the spiral designs given by the gold embroidery. Nowadays the piece is more modernized with different colors, length and fit, depending on what the bride wants, but the headdress and knee length jacket is usually kept the same. 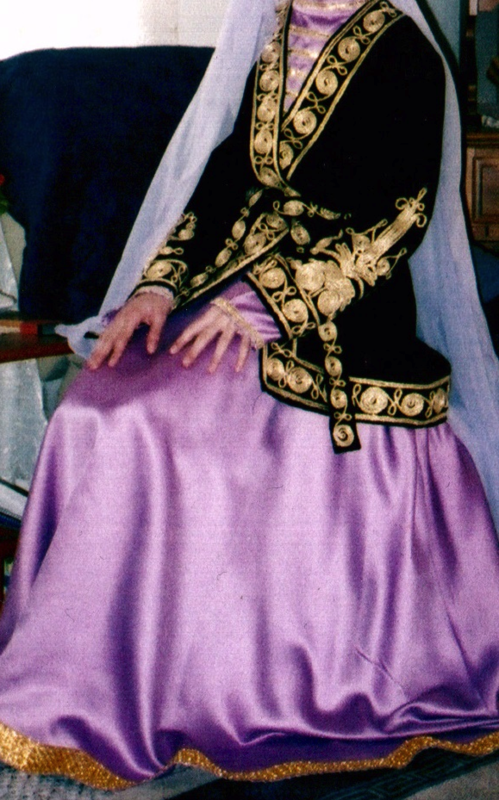 In Eastern Turkey, Elif states that she has observed an adaptation to some Arab clothing like the “abaya”, she says it is more common to see traditional clothing among those who live there. On a daily basis, neither Elif nor her mother wears cultural clothing. However, Elif feels that when she wears her cultural clothing for events such as a bridal Henna night, she is “in tune with her culture” and she loves it and is very proud!